At Element26, Inc., we also have experience designing specialized applications that help you solve problems. Some are only for Mac, while others will work on any platform with a web browser. If you need a custom application to accomplish a particular task, contact us for a free consultation. Are you a player on PokerStars or Full Tilt? This online utility processes hand histories from these two sites to provide simple statistics on game play. The Lite version can process one history file at a time. 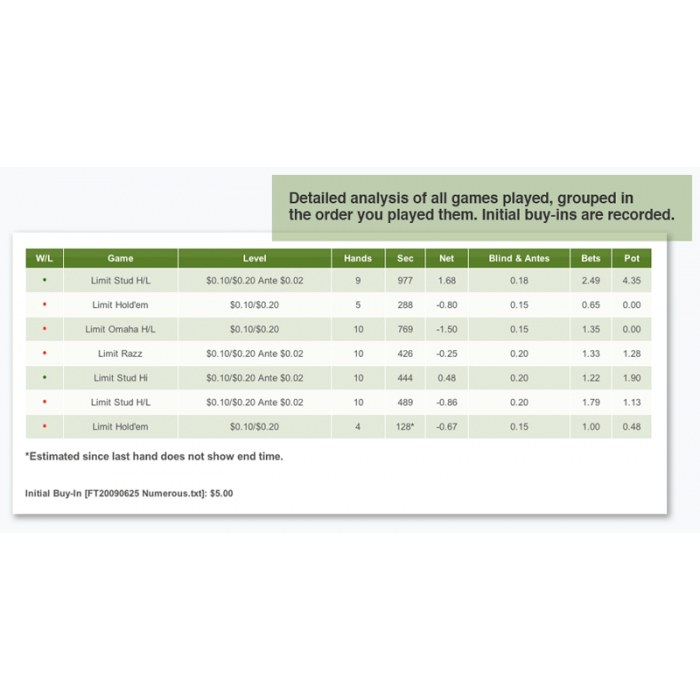 Use this handy utility to analyze your game play and improve your results. It supports any common poker hand history from these sites including Texas Hold’em, Omaha, Razz, Seven Card Stud, 8-game, HORSE, and more. Easily export the data to Excel or your favorite spreadsheet program using a CSV file download or copy & paste. 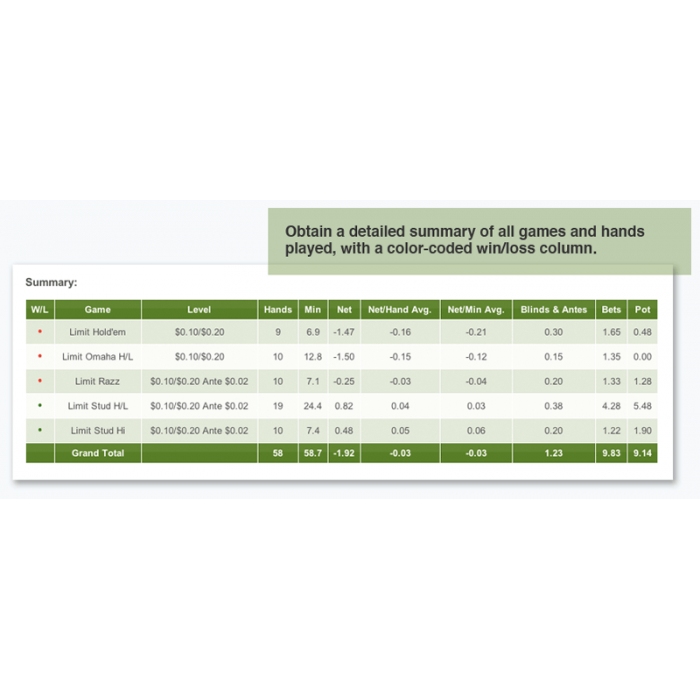 Statistics include net $/hand, a breakdown of blinds/antes, average time, number of hands played, bets/raises, and winnings from the pot for a particular game. The Lite version includes the ability to process one hand history at a time. Look over the screenshots below to get an idea of what this software can do, or use your own history file and try the demo! Because this is a web utility, you’ll always be running the latest version, and you can access it from any computer using your login and password. Uploaded hand histories are instantly and automatically discarded once they have been processed. Check out the PRO version for additional features not included in the Lite version.